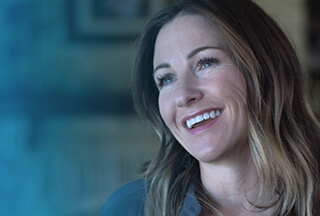 Project Manager at Dell Inc.
Dell provides the technology that transforms the way we all work and live. But we are more than a technology company — we are a people company. We inspire, challenge and respect every one of our over 100,000 employees. We also provide them with unparalleled growth and development opportunities. We can’t wait for you to discover this for yourself as a Project Manager on our Program Management team in Casablanca. Innovative projects that deliver cutting edge results do not run themselves. Project and Program Management within Business Support ensure projects run seamlessly, from start to finish. Our team manages projects or leads others managing projects — ensuring cross-functional teams work collaboratively and effectively. We oversee initial plans, set budgets, track project activities and communicate milestones to key stakeholders. Responsible for all project activities during the project initiation, establishment, execution and conclusion phases for: planning, setting up, and executing the project activities, managing dependencies, and ensuring that the project goals are met and that the customer’s business requirements are fulfilled, and in the agreed timeline / budget. Responsible for financial management of project/s, including P&L, costing, invoicing, revenue recognition, forecasting etc. Maintains and submits clear and concise activity/progress/time recording reports to customers, management, and sales. Stays abreast of current industry trends and new technology through professional associations, trade journals, networking, and associated training and seminars. Articulates the full value of the Dell EMC Solutions and Dell EMC Services business benefit to the customer. Ensures a strong and seamless relationship by maintaining communications about the project to all stakeholders (Customers, Sales and Delivery personnel), providing a single point of contact during the project for all aspects of the engagement. At least 5 years experience in technology / services related Project Management, managing large enterprise projects. Accustomed to working in a dynamic, high pressure, fast-paced,matrix environment – ability to multi-task is essential. Certification in Project management and a good, general grasp of technology. Proven track record of successful project delivery in complex end to end and systems integration projects, among Telecom/Oil and Gas/Financial sectors. Knowledge of Dell EMC, Dell, VMware, Pivotal, Virtustream, RSA and SecueWorks product portfolio. Other general requirements include strong skills around Finance, Communication, Leadership, Consultative, Interpersonal / Consultative. Must be willing to travel up to 50% across North West and Central Africa. Technical background in Storage, SAN and Data Protection is strongly preferred. If you share our passion for data and you’re keen to play a key role in driving progress, this is your opportunity to develop with Dell.